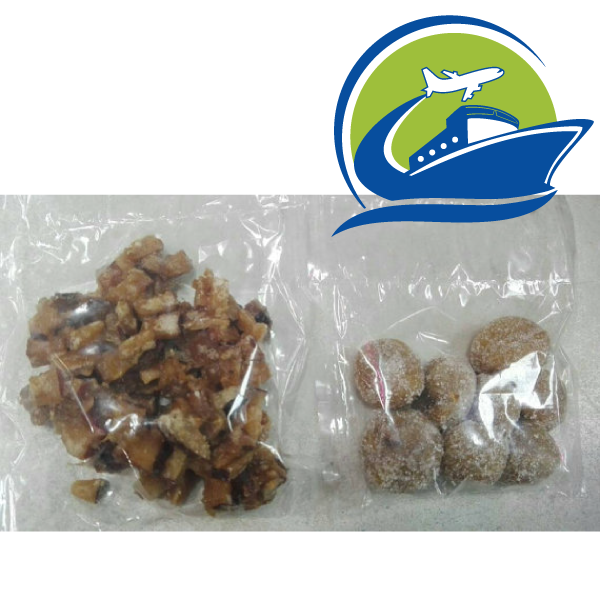 This lot includes 10 items comprising: -cocunut drops 5bags -tamarind balls 5bags These candies offer an authentic Jamaican experience. It's made from and by makers of quality goods. We seek out the best and curate it here with respect in a boutique setting. Coconut drops are made from the hardened flesh of the coconut, chopped and boiled in rich brown sugar and water. When the sugar is crystallised it crestes a hardened delicious candy. Tamarind balls are made from the fruit with the seeds extracted and rolled into balls with fine brown sugar. These authentic Jamaican candies continue a tradition which began prior to emancipation. Jamaican candy is become increasingly rare and forgotten due to the influx of American candy into the local market. Note: Do not use COD as your payment method when purchasing goods shipped directly from Jamaica. The order will be canceled. These candies offer an authentic Jamaican experience. It’s made from and by makers of quality goods. We seek out the best and curate it here with respect in a boutique setting. Coconut drops are made from the hardened flesh of the coconut, chopped and boiled in rich brown sugar and water. When the sugar is crystallised it crestes a hardened delicious candy. Tamarind balls are made from the fruit with the seeds extracted and rolled into balls with fine brown sugar. These authentic Jamaican candies continue a tradition which began prior to emancipation. Jamaican candy is become increasingly rare and forgotten due to the influx of American candy into the local market.